Maternity leave is one of the most challenging stages of parenthood. Here’s what maternity leave looks like during those first few months. I was more than ready to leave work that Friday afternoon. Pregnancy had taken its toll, and I was looking forward to staying home for a three month stretch. I understood the demands of a newborn baby, but I figured I’d have time to tackle a few tasks and hobbies. To a first-time mom like I had been, maternity leave looked enticing. I wasn’t alone, either. Many people—from first time moms to childless kids—assume maternity leave is a vacation. A relaxing time to bond with the baby with nothing else on the agenda. You imagine strolling with the baby, maybe meeting a friend at a restaurant for lunch. Piling books on your nightstand to fill long stretches of time. Babies sleep most of the day, as in 16-17 hours. Given that they sleep for at least two-thirds of the day, you figure you’ll need to find things to do to fill up your time. 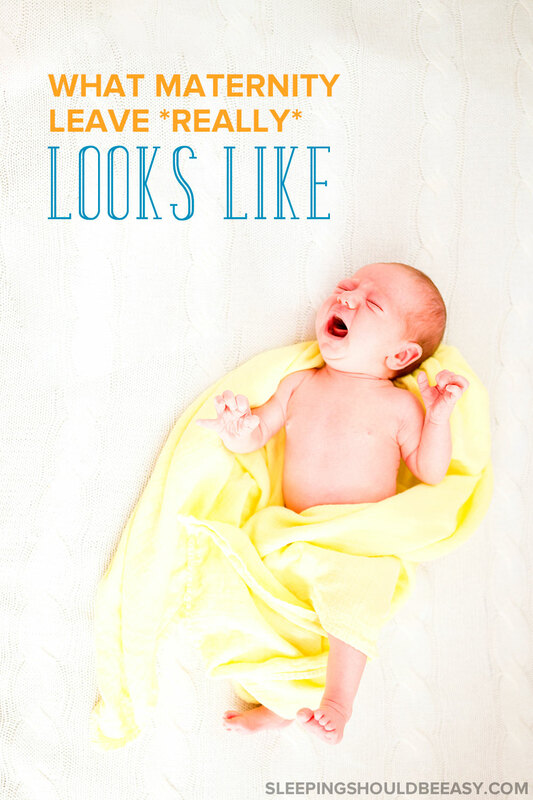 Except babies sleep in erratic stretches, typically no longer than two hours at a time. More realistically, the baby will sleep in short bursts, like 30 minutes to an hour and a half. All through the day and night. The hard part? Newborns need help falling asleep. They can be picky about where and how they fall asleep. And most of that responsibility falls on you. It’s not uncommon to spend an hour rocking only for the baby to stay asleep for 30-45 minutes. A few lucky times, your baby might sleep on his own. More than likely, he’s draped over your chest, or tucked in your arms. And you’re too afraid to move even an inch because he might wake up. So you’re stuck in that position, kicking yourself for not bringing your iPhone with you. Once, my first baby slept for five hours straight. I couldn’t believe it. My husband and I actually got to watch an entire movie on DVD as we folded laundry. Every parent has that “One time my baby slept for five hours…” story because you’ll never forget it! A friend of mine visited me when my eldest was five weeks old. The minute she saw me, her face said it all: Wow. Because yes, maternity leave will take a toll on how you look and feel. You’re cycling through your mom uniform of nursing tops, leggings and yoga pants. Old t-shirts you got for free at some random event now make their daily appearance. Getting dressed, much less brushing your hair or putting on makeup, feels like a waste of time. Especially with nowhere to go, and spit up galore, you’d rather use that time to sleep. No mom wants to go into maternity leave, or parenthood for that matter, feeling clueless. But if you find yourself unsure, you’re not alone. I felt so unsure of myself I was too terrified to even take my baby on a stroll. Just when I talked myself into it, I panicked when I realized I didn’t even know how to unfold the darn stroller. And once I did, I just about had a panic attack when my baby kept crying in what I first assumed would be a leisure stroll. For many moms, maternity leave isn’t just a time to care for the baby. It’s also the first time they’re learning to become parents. Frantic for time, I wished we had a refrigerator or water filter with ready-to-go water. Because even those 20 seconds to fill a water filter or run a pot of hot water for tea seemed to take forever. With a newborn, every second counts. 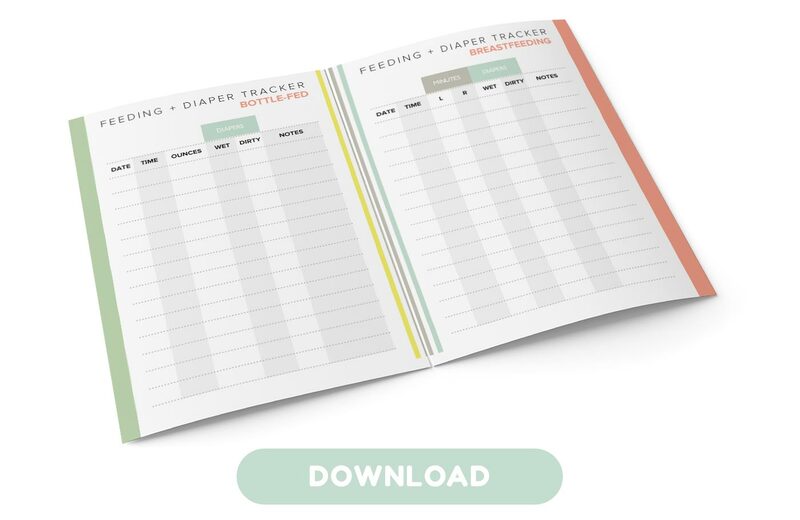 You’re shuffling from feeding to burping to wiping spit up. Your baby can’t communicate, and you have to decide whether her cry meant hunger or an itchy onesie. Everything that had once been a priority has been long ignored. And so your house is left unvacuumed for three months and you look away when you realize your preschooler didn’t wash his hands after the potty. Forget home-cooked meals—you’ll rely on take out and frozen meals. Learn whether burping a newborn after breastfeeding is necessary or not. A real vacation is getting to do what you want to do. As you might guess, maternity leave isn’t the vacation others assume it to be. Your emotions are all over the place. You don’t know how to get your baby to sleep. And every moment is a battle between yet another task or actually getting some rest. What maternity leave really looks like can be a shock to many moms. I returned to work after 12 weeks not refreshed as someone might feel returning from vacation. And yes, I had to come in and leave at set times. I did work others told me to do. But I could make a cup of tea, one I could drink as long as I want, without interruption. I could use the restroom whenever I wanted to. And eat lunch without scarfing it down in five minutes. Because your tasks, coworkers, your boss—they can wait a few minutes. Your baby? Not so much. Tell me in the comments: How was maternity leave different from what you imagined? I’ve never had one! I quit my job when Scarlet was born and was already self-employed by Des. My sister just went back to work after theirs, and I really felt the conflicting emotions they did! And I had to agree that this country is so backwards in many ways. I think a year off – PAID – sounds great! Even a year with some unpaid would be awesome too! Great post Nina! With my first born I was on maternity leave and it was anything but a vacation. I was learning the ropes of being a wife and a new mom for the first time at the same time. Everything was new to me and when my baby was sleeping or taking her naps, i was either cooking or cleaning the house as fast as I could before she would wake up. So, I definitely agree with everything you said. Oh man you just described me 🙂 Even when the baby was napping I’d still do a zillion things during that time. Not very restful, but when you’re frazzled you feel like you have to be productive! Thank you for giving the real picture. One thing I remember from maternity leave is that I had a running countdown of when I would have to leave my baby in the care of someone else. It was too soon for me. That’s one of the toughest things about maternity leave, the end. Even if you look forward to some alone time or being back in the real world, it’s still sad to say goodbye to a time in your life that isn’t so easy to go back to. Sadly that’s also the time when many babies are just starting to come around and get “easy,” so it’s especially ironic that we’re not there during the day moving forward. Maternity leave definitely isn’t a vacation. I was lucky enough with my first two to stay home for 4 months. But going back always felt too soon. And if you want to continue breastfeeding, it’s very difficult because most nap times are spent pumping in order to build up supply for when you go back to work. Then again, newborn snuggles are just so sweet and wonderful. Getting to experience that as a parent is totally worth it. I agree that pumping was hard big time. Probably the only benefit is getting a break from work in your own privacy. But lugging that thing to and from work was a pain!